Engineering develops software to support Computer Aided Design and Document Management. While most of the main applications are commercial, frequently custom software is required to tie systems together and create convenient user interfaces that implement Engineering CAD business models. Many Engineering projects involve collecting scientific data and software is often used to facilitate this process. Specialized software is developed to meet requirements of the various sensors and data rates of the experiments and to process and store the data. In many projects, the need for Engineering Software goes beyond collecting data and includes controlling hardware such as power supplies, motors, heating and cooling equipment to support the experiment or facility. These software systems are often a collaborative effort with our scientific partners, but those components that interact directly with the low level sensor hardware are most often designed, constructed, and supported by Engineering Division software engineers. This software has tight integration with the low level hardware and often has difficult timing, processing and performance requirements that must be met for a successful experiment. Magnetic Measurements characterize magnetic fields produced by magnetic devices such as dipoles, quadrupoles, combined function magnets, and undulators. At the Berkeley Lab, most of the devices measured are installed in a particle accelerator. The particle beam trajectory and properties depend strongly on the magnetic field. Different measurement techniques are used: Hall probe mapping, rotating coils, wire techniques (stretched wire, pulsed wire, rotating wire) to achieve the desired results. Each of these methods allows us to determine the quality of the magnetic field produced and ultimately the quality of the particle beam itself. Silicon wafer containing CCDs used in DECam. Imaging detectors such as charge-coupled devices (CCDs) are primarily used for astronomical observation and x-ray imaging. Our CCDs are noted for their exceptionally high, near-infrared sensitivity and capability to capture images billions of light years away. The Berkeley Lab MicroSystems Laboratory produces scientific CCDs for imaging and spectroscopic applications in astronomy as well as for the direct detection of x-rays at the Advanced Light Source. An undulator is a periodic magnetic structure that serves as a critical component in synchrotron light sources and free electron lasers. Light, typically in the extreme ultraviolet to x-ray wavelengths, is produced when an electron beam passes through the periodic field. The wavelength is tunable by varying the magnetic field strength or the electron energy. Berkeley Lab’s Engineering Division has been at the forefront of undulator development since Klaus Halbach’s development of permanent magnet and hybrid (permanent magnet with high permeability poles) undulator structures, which was a key to the development of third and fourth generation light sources. In recent years, we have also been a leader in the development of NbSn3 superconducting undulators. The division designs and fabricates state-of-the art undulators for the Advanced Light Source. As one of the biggest construction projects we built approximately 60 undulators for LCLS-II, the world’s most powerful free electron laser at Stanford Linear Accelerator Center (SLAC). 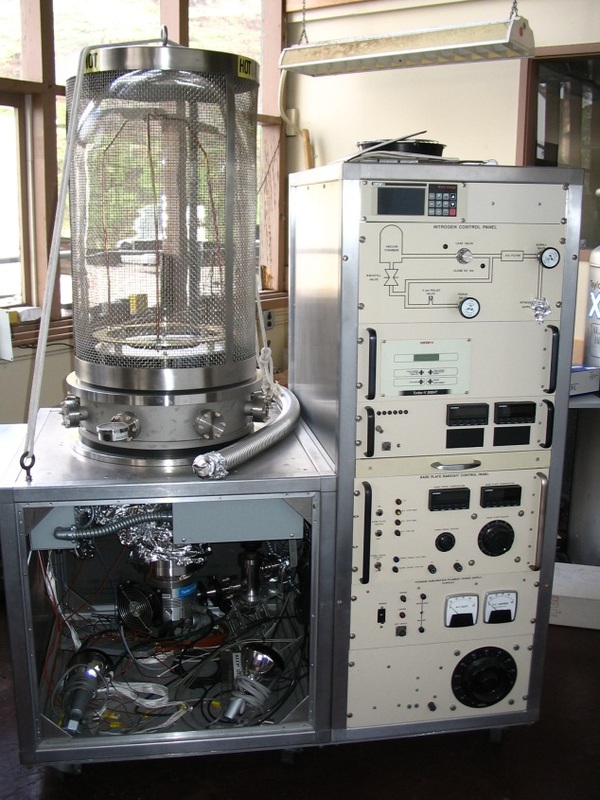 Vacuum chambers are used to produce low-pressure environments for a multitude of experimental needs. We design and fabricate one of a kind vacuum chambers and components for operation in ultra-high (UHV) and extreme ulta-high vacuum (XHV) regimes. Our fabrication and assembly shops test materials and components for UHV compatibility and specialize the the fabrication, handling, cleaning, and processing of the components. Precision mechanisms are a class of machinery/instrumentation that often have micron scale features, or even larger components that have can range down to nanometer scale tolerances within surface, positioning, or motion. These systems have applications ranging from satellite technologies and particle accelerators to MEMS, and nanotechnology instrumentation. Our efforts include research, design, development, manufacturing and measurement of high accuracy components and systems. Some examples are X-Ray optics and metrology, X-Ray and electron microscopes, precision microscopes and large accelerator detectors. These systems are often cryogenic and installed in ultra high vacuum environments. A composite is a combination of two or more materials that yield a new material with desired properties (i.e., non-magnetic/magnetic or non-conductive/conductive). Our specialization is in design and fabrication of high performance Carbon Fiber structures and precision bonded assemblies (incorporating both metallic and composite components) for Silicon Tracking Detectors. Using carbon fiber composites, we design very low mass, ultra-stable support structures for Silicon Tracking Detectors used in High Energy and Nuclear physics experiments. Our designs often integrate cooling, data, and power into the support modules. In addition to Silicon Tracking Detector Structures, we use carbon or other fiber composites to develop supports for other structures, including apparatuses at the Advanced Light Source (ALS). The Berkeley Lab Engineering has developed techniques and tooling to design and fabricate these structures with precision. An Advanced Manufacturing Center (AMC) at Berkeley Lab is being explored to establish various advanced manufacturing technologies and serve a wide range of manufacturing needs internally as well as externally. We are developing capable manufacturing technology to meet increasing diversification of material used and tighter tolerances in science exploration and industrial production. AMC will initially focus on ultra-precision machining technology, which could provide an array of material selections, tens of nanometer form accuracy, and few nanometer surface quality with a full 3-D feature capability. Vibration is a mechanical phenomenon whereby oscillations occur about an equilibrium point. The oscillations may be periodic or random but most often, vibration is undesirable. To mitigate the impact of vibration, we can either decrease the intensity of the vibration source or decrease the sensitivity of the equipment. Vibration sources and equipment sensitivity can be characterized using measurements from seismometers, accelerometers, or interferometers. We analyze the measurements to determine what structural improvement, vibration damping and/or isolation strategy can be implemented to mitigate the impact of vibration. Environment vibration measurements, careful design, and predictive modeling using modal analysis or harmonic response can be used to evaluate performance. In industry, motion control and robotics is typically used to automate the movement, transport, or assembly of components or products in the manufacturing process. At the Berkeley Lab, motion control and robotics are used to automate scientific tools, improving the speed and quality of data acquisition. Our motion control applications include laser and X-ray optics alignment, sample positioning, precision control of magnet assemblies and speed control for audio reconstruction. Robots are used in special applications and particularly in highly repetitive task in genomics that can be replaced by a pick-and-place robot, or a task in an exclusion area such as placing a protein crystallography sample on a manipulator to perform X-ray diffraction. For both these tasks throughput is increased and error reduced by eliminating human operators. Pulsed power is a field of research which explores methods of providing high peak power (the product of the voltage and the current) to a load in the form of short pulses (nanoseconds to microseconds duration). These systems typically include a primary power supply, energy storage capacitor, and a switch which transfers the pulse of energy to the load. Loads may be electromagnets, induction accelerator cells, electrostatic accelerator electrodes, plasma sources, antennas, and microwave vacuum tubes. Research includes efficient energy conversion and storage techniques, high performance switching, and precision pulse shaping. High voltage (kilovolts to megavolts) is associated with pulsed power systems, but some applications, like particle detectors, require continuously applied high voltage (not in the form of short pulses) and do not require high peak power. High voltage systems require careful design so that the electric fields created do not exceed the breakdown threshold of the dielectric (air, vacuum, plastic, etc.) which is between the high voltage electrode and ground. Electrostatic simulations and high voltage testing are used to qualify designs. Recipients of the 2012 Department of Energy (DOE) Project Management Awards includes Engineering Project Planning and Controls Group Leader. The Bevatron Demolition Project received the Secretary’s Award for Excellence and the Daya Bay Reactor Neutrino Detector Project received the Secretary’s Achievement Award. The Project Controls Engineering Department provides project controls expertise, project control engineering, planning, and an Earned Value Management System (EVMS) based on DOE Order 413.3B and the ANSI/EIA-748-C guidelines to integrate project management elements required to effectively plan, organize, and control complex projects across the laboratory. The LBNL EVMS provides a comprehensive system for schedule, budget and technical performance management, measurement and reporting and for effective project execution using earned value management. The requirement to use the LBNL EVMS applies to all funded projects with a total project cost greater than or equal to $50 million regardless of funding source. For projects smaller than $50 million, a graded approach is being used for implementing and supporting the LBNL EVMS without overburdening the projects. Physics detectors are developed to understand the evolution and structure of nuclear matter from the smallest building blocks, quarks and gluons, to the elements in the universe created by stars. The detectors detect, track, and identify the particles and sometimes operate as calorimeters, measuring the energy of radiation that is detected. We have the expertise to design, fabricate, and install large physics detectors and components that open new frontiers for the modern world. Multipole magnets are an essential component for steering and focusing charged particles in particle accelerators. Most commonly the magnets are electro-magnets, which are energized by current carrying conductors wrapped around low permeability poles. Alternatively these magnets can be made from permanent magnets or permanent magnets in conjunction with low permeability poles, or hybrid magnets. Permanent magnets and hybrid magnets operate without the use of power supplies and are typically more compact than electro-magnets. Permanent magnet and hybrid magnet field strength can be varied by movement of permanent magnet or low permeability elements. An example of an adjustable strength permanent magnet multipole are the chicane magnets used in the ALS. The field strength and field shape are controlled by rotating magnets. The Berkeley Lab has developed methodology and expertise in the analysis, design and fabrication of RF cavities for a variety of applications. 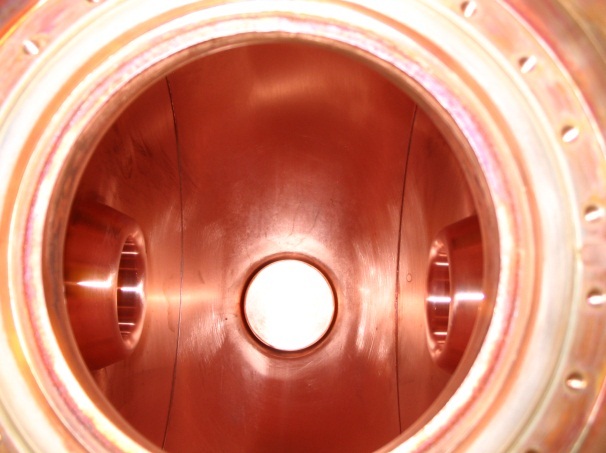 Numerous normal conducting copper cavities have been developed for use as accelerating structures for particle accelerator beamlines. We have extensive experience designing, building and operating both pillbox type cavities and radio-frequency quadrupoles (RFQ’s) that operate over a wide range of resonant frequencies. The primary software tools used for the design and analysis of the cavities are CST Microwave Studio and ANSYS. Fabrication of the cavities are carried out in our shops with specialized procedures such as hydrogen brazing, e-beam welding and cooling passage gun-drilling being provided by selected local vendors. Mechanical CAD in the Engineering division consists of a suite of applications/processes that enable a workflow encompassing the entire design methodology. The process runs from the initial requirements given to our engineers and designers to the final product/assembly installed in our instruments. This includes requirements management, design, analysis, and visualization through to the documentation required for fabrication and procurement. Designs are modeled in various 3D CAD applications and the data generated from these tools are collected and managed in controlled repositories called Product Lifecycle Management systems. Document control is the final arbiter of released documentation and is utilized in the procurement and manufacturing of our designs. We utilize Low-level Radio Frequency (LLRF) to control accelerator beamlines and are pioneers of implementing fully digital LLRF/RF controls. The high power sources that drive electromagnetic fields inside accelerating cavities must be precisely controlled against noise perturbation for optimal beam quality. To do this, the LLRF controller measures the magnitude and phase of a sample of the cavity field, and feeds back to the high power RF amplifier in hard real time. Typical feedback loop response times are 0.5 to 2.0 microseconds. Achieving <0.02° of stability at 2856 MHz, we have applied this technology to the timing distribution system in the latest FEL (free electron laser) facilities, synchronizing remote lasers and RF references with combined jitter and long-term drift as low as 20 femtoseconds rms. Using Innovative techniques to reduce crosstalk and close-in phase noise, we have achieved short-term SRF cavity stability better than 0.01°. With well-designed digital (FPGA) programming, we have also demonstrated automated cavity turn-on and robust cavity operation in the presence of microphonics. Light sources used for science are often complex arrangements of laser sources, amplifiers, passive and active optical devices, diagnostics, electronics and computers. Advanced designs produce light with previously unavailable characteristics, enabling new scientific research. Laser systems are also combined with X-ray sources to initiate physical processes and measure them. For instance, a high-average power, short pulse laser source was developed for materials science experiments on the Advanced Light Source (ALS). In most applications, an interlock system is used to prevent to harm to persons or damage to machines. Physical controls are engineered to contain hazardous energy, an interlock sensor detects potentially dangerous changes in state, and the interlock reduces risk of injury or damage. Interlocks sensors can be radiation detectors, infrared beams, cameras that monitor 3D space, but often they are switches. At the Berkeley Lab, interlocks are used in robotic, hydraulic, high voltage, laser, radio frequency and radiological systems. High Power Radio Frequency (RF) Engineering is a specialized field of electrical engineering that deals with components and systems that operate at well above the audio frequencies band. Historically, RF Engineering began over 100 years ago with the advent of wireless telegraphy known today as radio. High Power RF Engineering has grown enormously and is now used in all forms of communication systems utilizing transmitters, receivers and antennas, in industrial processing such heating, curing and sterilization, in many forms of imaging such as medical, geological and materials as well as in computer engineering due to their ever increasing computing speeds. At the Berkeley Lab, we primarily use High Power RF Engineering to detect and measure the presence and position of atomic particles, to design mechanical structures to facilitate the transport of atomic particles, to design accelerating structures with large electric fields used to accelerate particles, and to design and operate kilo-watt to multi-mega-watt RF amplifiers used to provide power to these accelerating structures. Scientific experiments which interact two or more short-duration events must synchronize them in time. Laser and X-ray light sources can now produce pulses with few-femtosecond (1 femtosecond = 0.00000000000001 seconds) or sub-femtosecond duration, requiring precise timing. It is possible to measure and control the timing of lasers with this precision, using stable RF and optical frequencies transmitted over fiber optics. A combination of optical and electronic technology has been developed to support short pulse X-ray and optical science at large user facilities. In feedback controls, the controlled output of a device is measured and fed back for use in a control computation. We utilize feedback controls in a variety of applications ranging from LLRF to synchronization of optical pulses with femtosecond accuracy over kilometers of fiber, and beam-based feedback applied to Linac-driven Free Electron Lasers (FELs). We have particular expertise in the use of feedback controls for particle accelerators, which is essential to modulate various physical quantities in the presence of external disturbances such as variations in temperature, pressure, variability of electronic components, mechanical couplings, etc. The orbit of particles in an accelerator and other parameters influencing performance of the beam are also controlled using feedback. Our fabrication expertise and facilities enable us to manipulate various materials to manufacture a wide range of components and structures using cutting-edge manufacturing techniques. We are able to produce components or features ranging from several microns to several meters in size using a broad range of fabrication technologies including: conventional machining, micro-machining, Electrical Discharge Machining, additive manufacturing, welding, sheet metal, ultra high vacuum cleaning, vacuum deposition, vacuum brazing, mechanical metrology, and precision alignment. Utilizing these technologies, we are able to repair and engineer various electronics, detectors, injectors, mechanical mechanisms, and various other structures and components to prototype and/or build apparatuses that support the science at the Berkeley Lab. In addition, our machine shops provide planning and estimating services to identify efficient alternatives to achieve your project objectives. Visit our Engineering Shops & Laboratories page or contact us for more information. The Engineering Division provides world-class mathematical analyses of applications to help ensure the system functions as desired. Using a variety of analysis tools, including finite element analysis (FEA), we evaluate simple and complex designs for structural, thermal, vibration, fatigue, electromagnetic, and fluidic behaviors. The Engineering Analysis Team has both the tools and experience to apply appropriate analyses to support projects of varying size and complexity using a tailored approach to recommend the most effective path to solution. The LBNL IC group delivers high-performance mixed-signal integrated circuits for a variety of applications, but specializes in integrated circuits for particle detector and scientific imager readout. We focus on providing high channel-count mixed-signal chips for extreme environments (e.g. high radiation, low temperature, or in-vacuum operation) where suitable commercial parts do not exist. Our core capabilities include ultra-low-noise analog front ends, high-performance data converters, CCD imager clock drivers, and CMOS active-pixel sensors for scientific imaging. We offer complete integrated solutions including power management, clocking, and serial digital data interfaces. We have design capabilities in a wide range of IC technologies including mixed-signal, SOI, and High-Voltage CMOS, and have delivered integrated circuits fabricated in CMOS process nodes from 3 μm down to 65 nm. Human genome project, colony picker, deep well and orca robot. Turbo ramp hotel for the Human Genome Project. Our bio-instrumentation scientists and engineers develop analysis tools for life science and materials science research. They have made significant contributions to the Human Genome Project and developed a number of novel and enabling technologies for life- sciences. These tools include capillary array DNA sequencer, DNA/RNA microarray printer and scanner, high throughput and automated protein purification, protein crystallization and x-ray protein crystal screening systems, high throughput drug screening system, automated cancer cell-line growth and treatment system, integrated mass spectrometry for proteomics, phase-contrast technology for transmission electron microscopy. Recently, the scope has expanded to include development of high throughput and combinatorial technologies for rapid discovery of photo-electro-chemical materials for solar-fuel research and development of prototype solar-fuel generators. In general, this group is capable of collaborating with scientists in all fields (including industry) and developing novel and enabling technologies that give its collaborators competitive edge. The Survey & Alignment Group is responsible for the accurate positioning of accelerator and instrumentation components using precision surveying techniques and engineering methodologies. The capabilities include fiducialization, inspection, metrology and alignment. This group utilizes state of the art tools such as laser trackers, laser scanning & interferometry, digital levels, coordinate measuring machines, metrology arms and ground penetrating radar.